The House Range is world-famous for the spectacular fossils that have been found in its Cambrian-aged shales (~500 million years old). 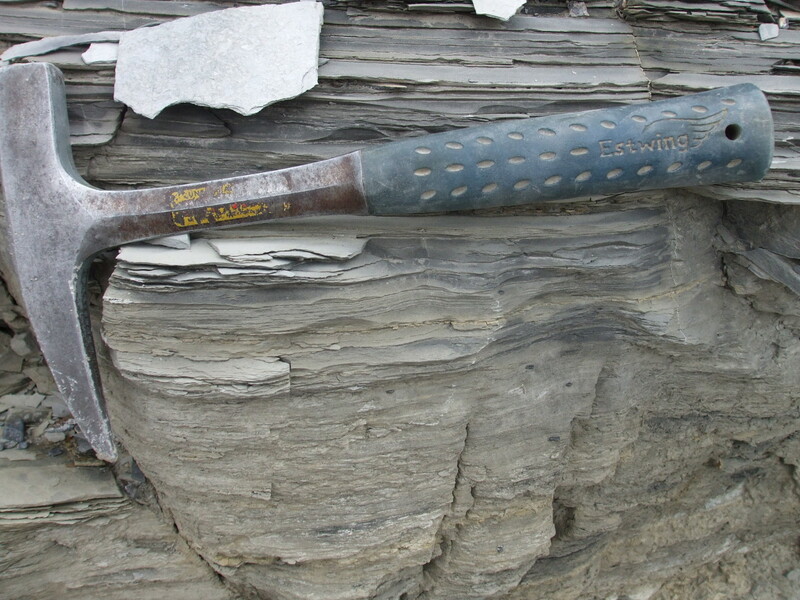 Two units in particular, the Wheeler Shale and the Marjum Formation, yield world-class trilobite specimens. The coordinates here are for one good spot at which to find trilobites. 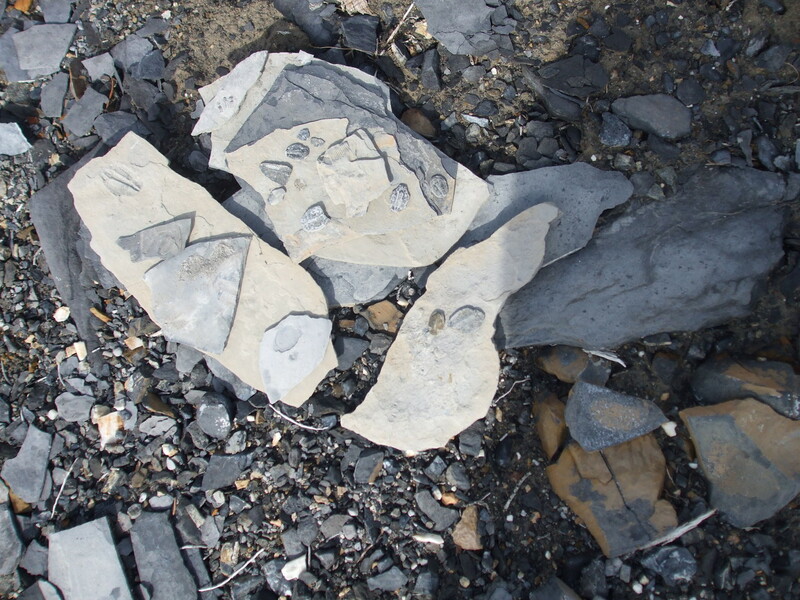 The Wheeler Shale here is filled with little agnostid trilobites and the iconic trilobite Elrathia kingii. (Agnostid trilobites are small – less than a centimeter long – and appear to have two heads. They also appear to lack eyes, hence the name.) The first set of coordinates are for a good parking spot. 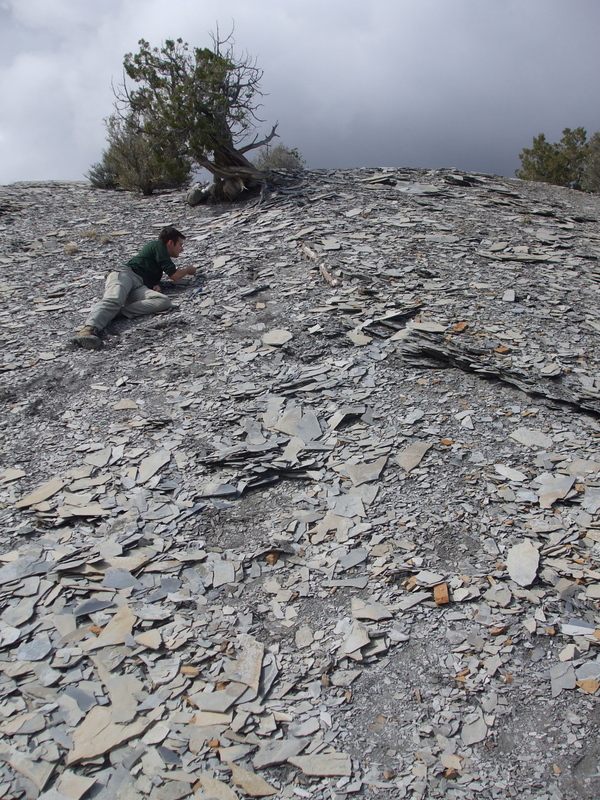 Abundant agnostid trilobites can be found in the low hill directly in front of this pullout. 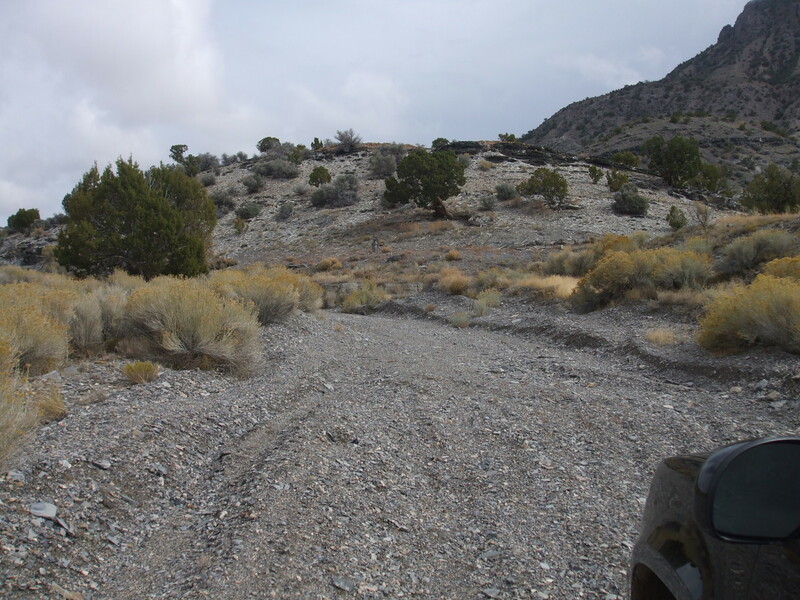 The other two sets of coordinates mark two places where we found particularly high concentrations of trilobite specimens. Elrathia kingii can be found both on shale plates and as separated specimens in talus ("chillers"). You may also be able to find rusty little pyrite cubes arranged in tubular patterns in the shale. The pyrite is the result of microbial iron reduction in the ancient Cambrian sea. These Cambrian rocks comprise the entire mountain range, so checking out the surrounding outcrops can be very worthwhile. 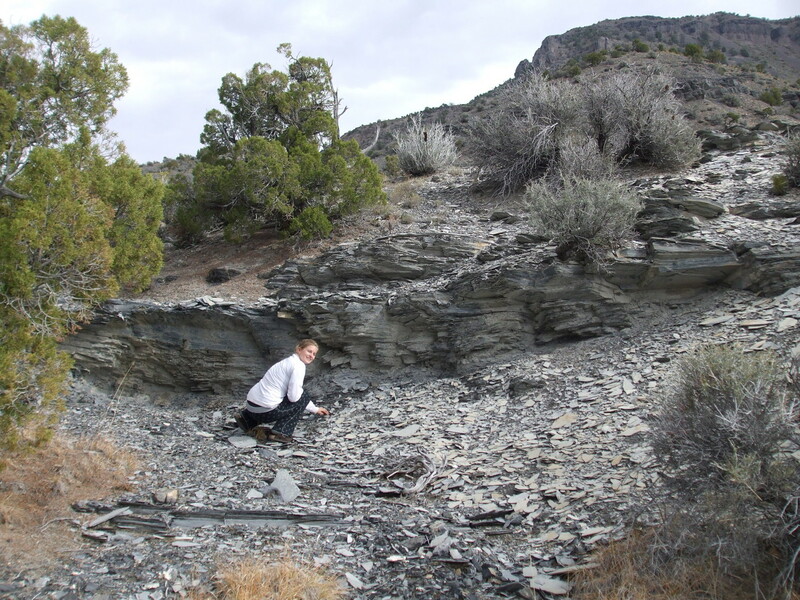 Also, there is a Jurassic-aged granitic intrusion near Notch Peak that has contact-metamorphosed the Cambrian calcerous sedimentary rocks in that area. I haven't had the chance to visit that spot, but the skarn minerals in the contact zone are reportedly quite nice.